A Belgian policeman fired the bullet that killed a two-year-old girl during a high-speed chase of a van transporting migrants in Belgium last week, prosecutors confirmed Tuesday. Prosecutors announced the results of the probe into the death of Mawda Shawri, after officials said Friday that she had died from a bullet wound in the incident May 17 but did not say who had fired it. 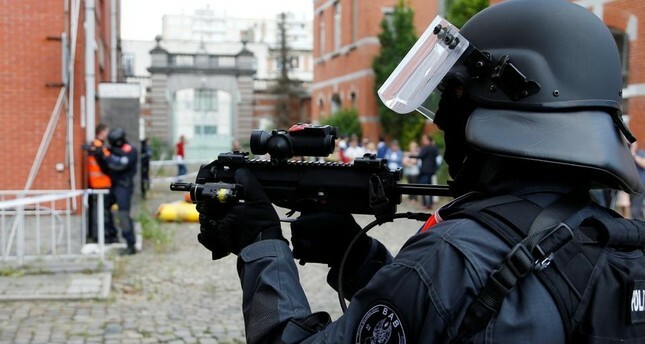 The prosecutor's office in the southern town of Mons said the investigation showed only one bullet had been fired "during a dangerous high-speed chase over 60 kilometers (36 miles)" and traced it to a police officer. "The officer who opened fire is overcome and disconsolate. He neither wanted nor could have imagined this," prosecutor general Ignacio De la Serna told reporters, according to the Belga news agency. "It's a tragic event that everyone regrets, including the police officers," he added. The police officer who fired the shot had appeared before a judge, who is reviewing all the evidence before deciding whether to press any charges, the prosecutor said. The toddler died in an ambulance on her way to hospital. The lawyer for the girl's family, Olivier Stein, told AFP that the prosecutors could have avoided confusion over how the girl died if they had questioned his clients directly. But instead, he said, they had "treated them more like offenders than victims." Stein said judicial authorities had told him the bullet was fired "at a moment when the van was traveling at 90 kilometers per hour" as police squad cars moved beside it.